Feeling overwhelmed? Unsure what to do? Looking for tips? Needing assistance? It’s a daunting task to raise the children that God has blessed us with, but not impossible! CCC therapists have teamed up with Millbrae Bible Church to partner with parents and equip them to care for their children in the best ways. 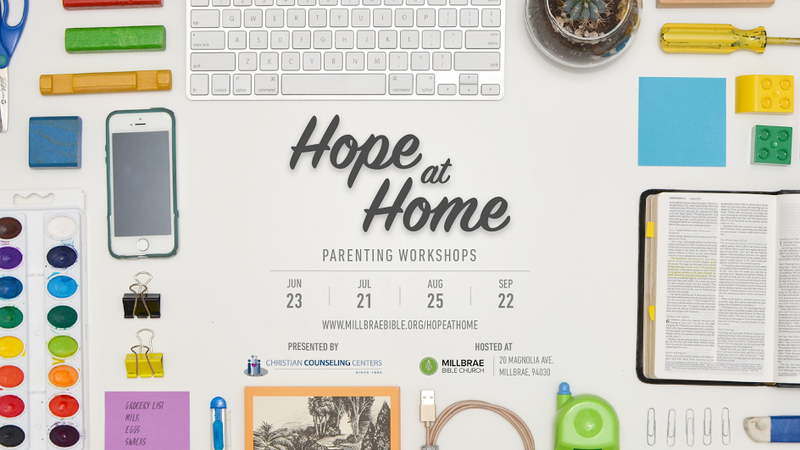 Join us for a monthly parenting workshop on a variety of topics that will bring insight to understanding kids and ourselves, offer practical skills to nurture and engage our families, and provide a place of encouragement. Cost: Free… your cost is to share what you have learned with others to help them raise their families. Do you find yourself stuck repeating the same conflicts over and over again with your kids? This workshop provides an outline to help you identify the triggers that keep those cycles repeating, and offers insight into how to break the unhealthy patterns and develop nurturing and connected ones. Ever wonder why you, or someone you love, seem prone to think, feel or act in certain ways? Do you ever feel like these patterns are fixed; unable to be changed? And how does the way ‘I’m wired’ fit into my spiritual formation? There has been an emerging cross-section of research linking psychology, neuroscience and faith to address these questions. This talk is designed to help you better understand what science has revealed about the human brain, how you can apply this information to engage constructively with challenging relationships, personal struggles, and guiding those you love. Life hands us all kinds of highs and lows. Learn more about how to support your child when they encounter both success and failure, and how to use these moments to create belonging and deepen connections with one another. Education goals and stresses that often accompany these will also be discussed as well.